Our Ultra-Premium Infusion Olive Oil is elaborated by the traditional method of spice immersion and slow natural cold maceration in our superior quality Extra Virgin Olive Oil obtained exclusively by cold first pressing only method and natural decantation. 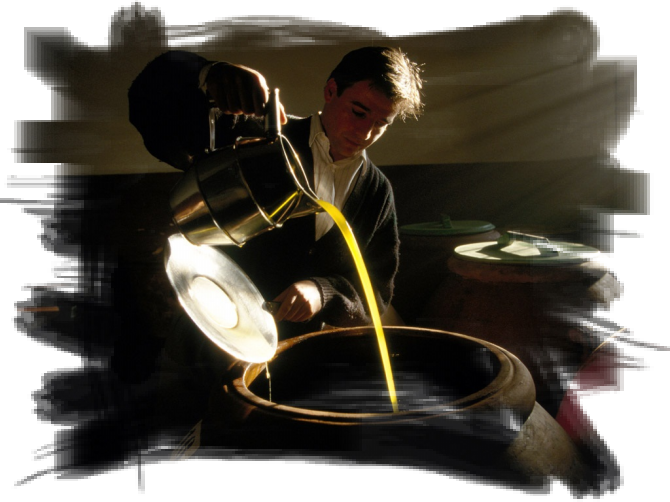 The unique characteristics of our Extra Virgin Olive Oil, allow perfection in absorbing flavors, aromas and the qualities of spices immersed in it. This is how we elaborate, our signature blend Infusion Olive Oil, Handmade in small batches; by selecting the best spices, immersing them into this superior quality Extra Virgin Olive Oil and allowing a slow and long cold natural maceration process for at least two full months. Our unique Signature Blend flavor, is result of the perfect and precise combination of our superior quality Extra Virgin Olive Oil with the right choices in selecting only high quality spices and out best kept secret formula used for each batch and maceration stage.